Great for cocktail parties, barbecues and similar gatherings where everyone is wandering around with a glass. Make a number of charms, each one different, and get your guests to choose one to clip round their glass when they arrive. You need natural cork for this project, no other type of wine bottle closure will do. Save the cork whenever you open a bottle. Try not to insert the corkscrew any deeper than necessary or, better still, use a “butler’s friend” to remove the cork without damaging it. When you have a few, choose those that look to be of good quality and are the same diameter. 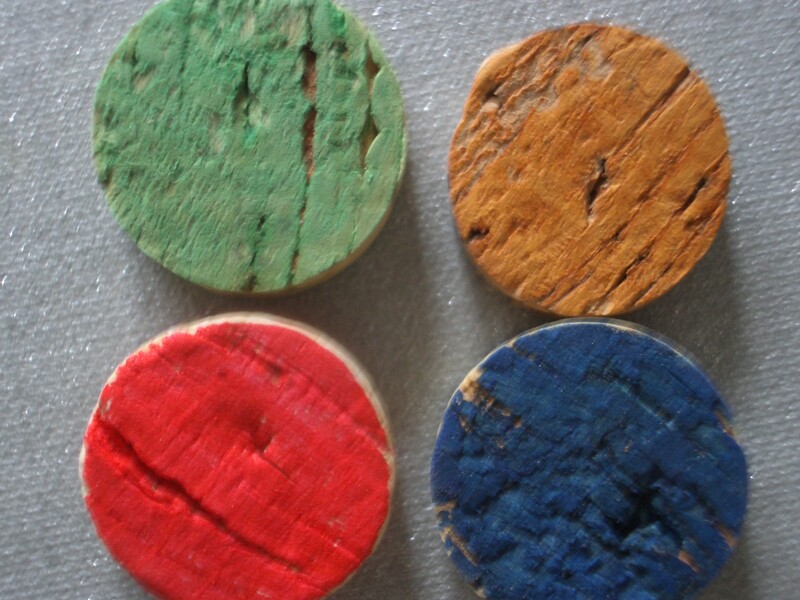 Cheaper corks are composites made from cork chippings. Ideally, you want the better type, cut from a whole piece of cork. Apart from corks, you need some of the little screw-in eyes and split rings that are sold for hanging pictures on the wall. They come in brass and copper as well as steel. If you can’t find any, the screw eyes on their own will do. They are meant for hanging net curtains. You also need some wire, preferably of the same metal as the eyes and rings, and a pair of round nosed pliers. Finally, you need an indelible marker pen and some paint, ink or dye. Acrylic paint is fine. 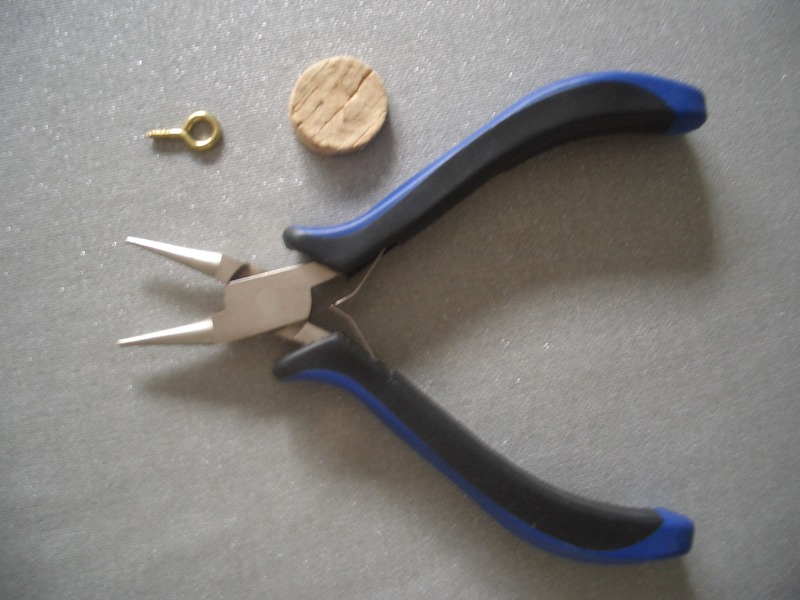 Using a very sharp knife, cut cork slices about ¼” (6mm) thick, starting at the end of the cork that was nearer the wine. Stop if/when you get to the hole made by the corkscrew. If the cork was in a red wine bottle then the lower end will be red, and a cork from a white wine bottle may have tartrate crystals on it. Neither matters, you can just use the slice the other way up. Now decorate one side of each slice in any way you like. Colouring the whole surface will be enough if you are only making a few. Otherwise draw on a simple shape with the marker pen as well, then all the users have to remember is a colour and a shape, eg red flower, green apple or blue fish. But you could just write an initial or number. Make sure each one is different though. Carefully screw an eye (with or without an attached split ring) into the side of each cork disc. This is easy to do with just your fingers if you turn the cork rather than twisting the screw. 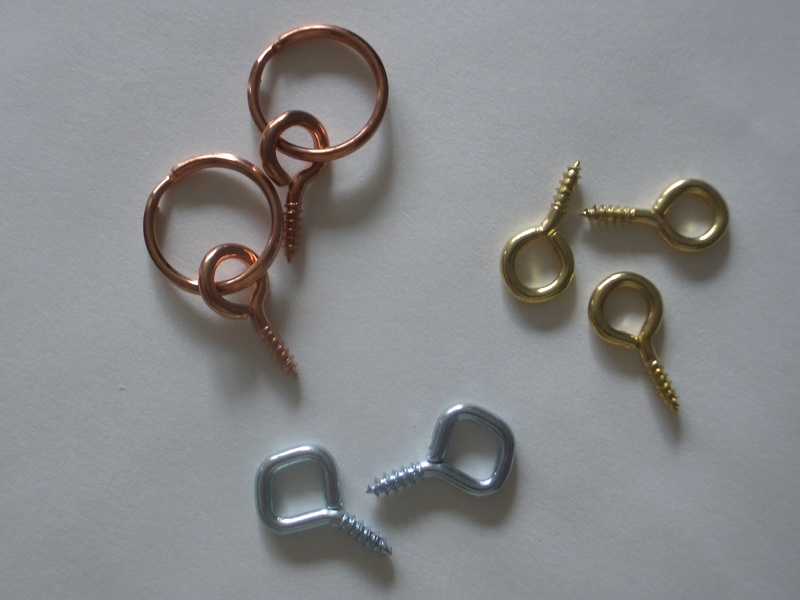 Cut a 4″ (10cm) length of wire for each glass charm. 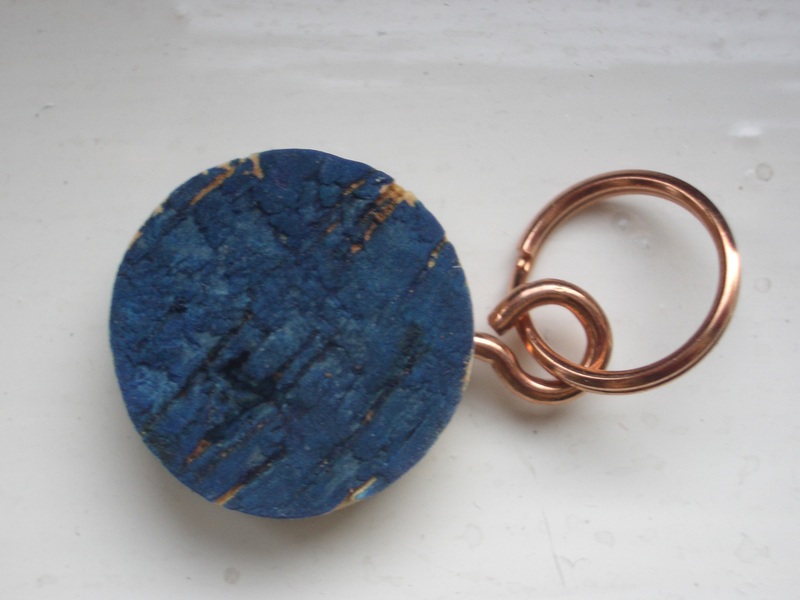 Wrap it around something (like the handle of a wooden spoon) to form it into a ring of about ¾” (20mm) diameter – there will be an overlap. Using the pliers, turn back one end to form a little loop and make a hook at the other end. 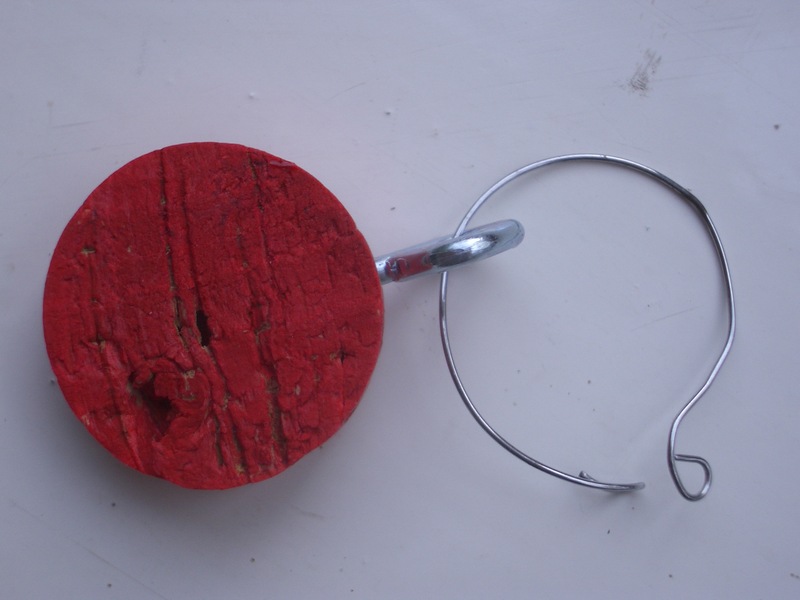 Slip the wire through the split ring, or directly through the eye that is screwed into the cork disc – turn the eye horizontally or vertically, as appropriate. 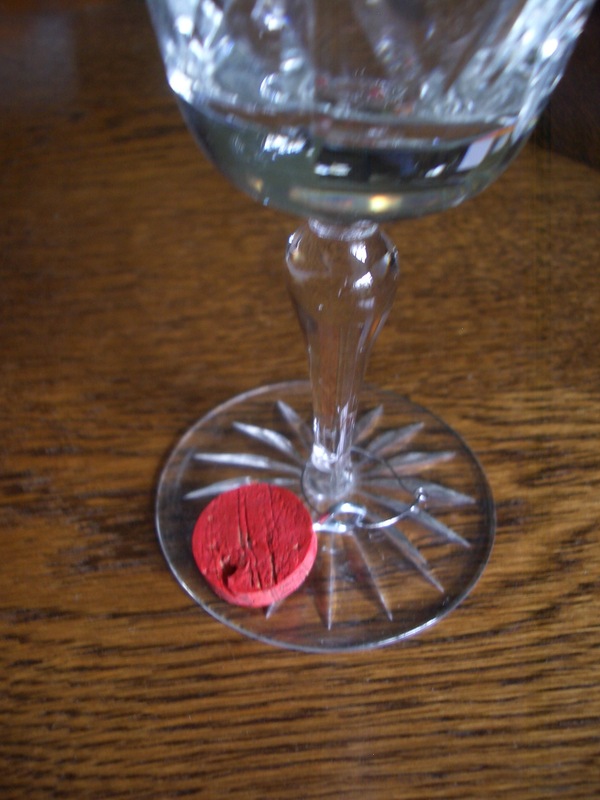 Adjust the curve of the wire, if needed, so that it can easily be put around the stem of a glass with the cork charm resting on the foot, but springs apart to latch securely once fastened.